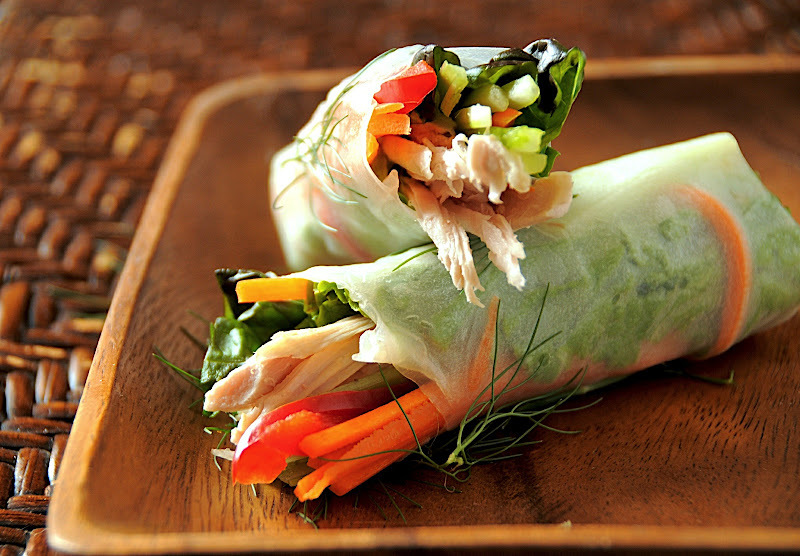 “Tuck & Roll” : This is our motto for rolling all your spring rolls or egg rolls. Whether your creations are for fresh or fried rolls, it’s important to have them round and tight! Try to avoid loose rolls with all the filling falling out. Practice makes perfect! Fill bowl with warm water. Dip rice paper in warm water for about 3-4 seconds, until rice paper becomes moistened with water. After dipping your rice paper in warm water, lay wrapper onto your work surface. 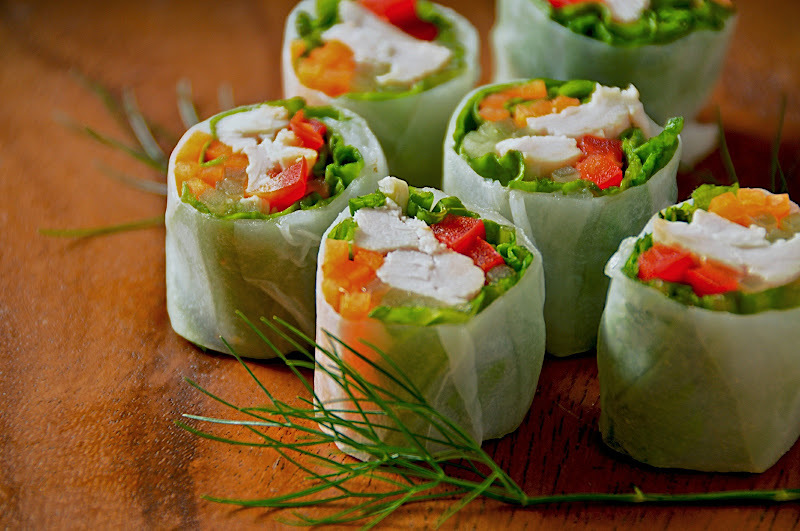 Allow rice paper to soak up water and become soft and pliable ( about 30 seconds to 1 minute) before you start to roll. If your wrapper too wet and still soaking up the water, it will be very difficult to roll. Layer your filling ingredients on the edge of the wrapper closest to you. Gently pull away the edge of wrapper from work surface and roll over the filling. Slowly start to roll away from you and “tuck” in your filling toward you to keep the roll tight. For fresh rolls, you can keep them open ended or fold in the sides for closed ended rolls. Or cut in half .